[+] All versions of Windows since 2000/XP and Mac OSX 10.3+ have built in support for L2TP/IPSec. [-] L2TP/IPSec can be more "complex" than OpenVPN and more difficult to configure to work reliably between devices behind NAT routers. On the other hand, as long as both the server and client support NAT traversal, there should be no issues. In the practice L2TP/IPSec has proven itself it to be as reliable and stable as OpenVPN is. 1. 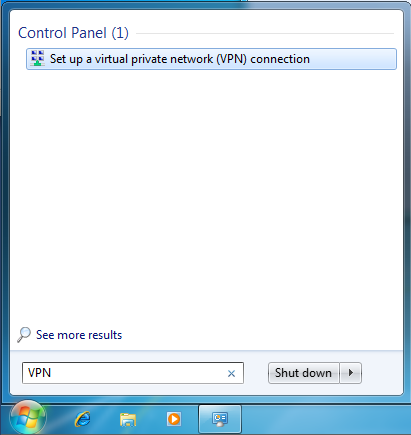 Start off and click on the Start Menu and type “VPN” into the search box. 2. Enter your unique "uXXXXXX.nvpn.so" hostname in the Internet address field (you find your DNS hostname in your .ovpn config file!!) and set as Destination name "nVPN". Lastly, make sure that the checkbox labelled “Don’t connect now; just set it up so I can connect later” is checked. Then click the “Next” button. 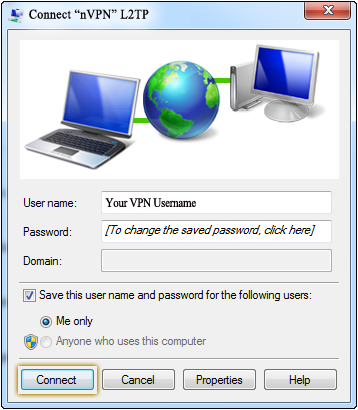 3.Enter your VPN Username and your VPN Password and tick "Remember my password". Then click the "Create" button. 4. 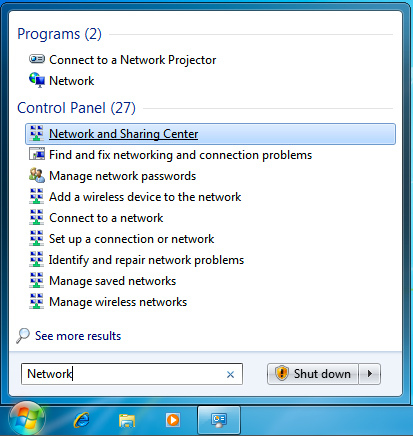 Click on the Start Menu, type the word “Network” into the search box, and click on “Network and Sharing Center”. 5. 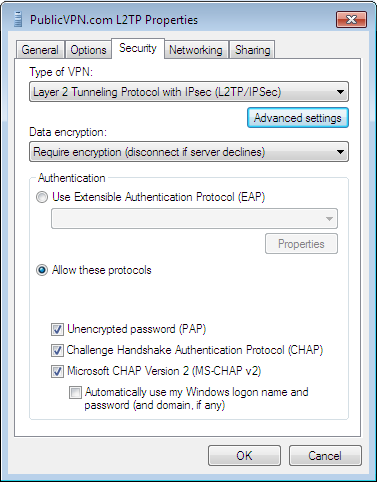 Choose type of VPN "Layer 2 Tunneling Protocol with IPsec (L2TP/IPsec)" and tick "Unencrypted password (PAP)". 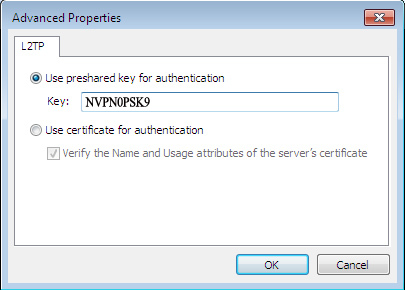 Click on "Advanced settings" and choose “Use preshared key for authentication" and enter "NVPN0PSK9" into the textbox. Click the “OK” button. 6. 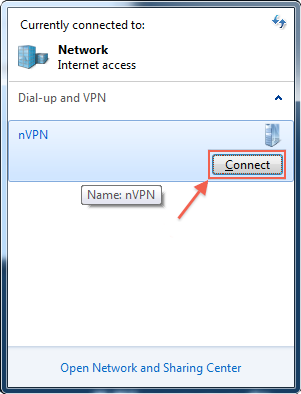 Again we go to "Connect to a network" and "nVPN" will be showing up in the connection list. Click on "Connect". 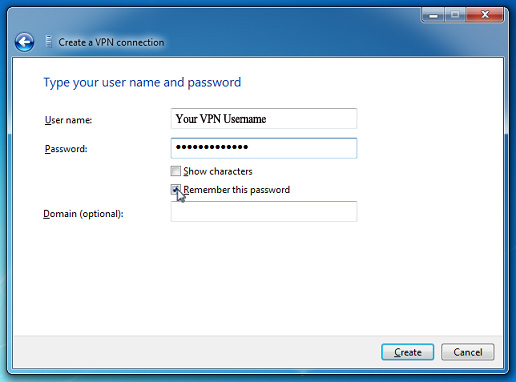 Open your Network Preferences, click on the [+] sign and choose "VPN", "L2TP over IPSec" and name it "nVPN - IKEv1". 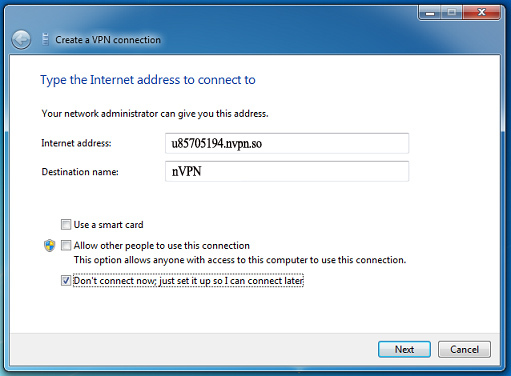 Important: click on "Advanced" and activate "Send all traffic over VPN connection". The configuration instructions were created using a Samsung Galaxy S4 running Android 4.3 (Jellybean) but will work similar/identical on other previous versions as well! Screen layout and configuration steps required may vary slightly between makes and models of device and version of Android installed. 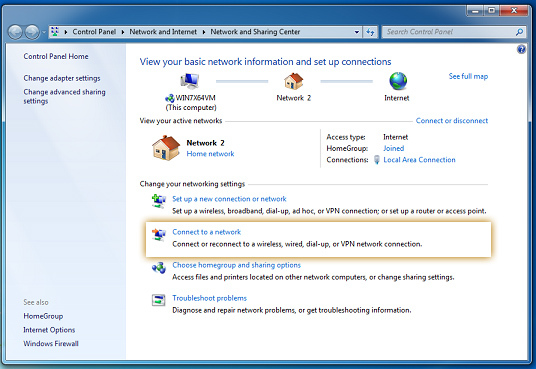 From the home screen go to "Settings" -> "Wireless & Networks" -> "More..." -> "VPN" -> "+"
From your Home screen go to "Settings" -> "General" -> "VPN" -> "Add VPN Configuration" -> "L2TP"
To connect, save it and activate the "nVPN" connection.